On this, our third episode, our guest is Zack Sampsel. Zack is a proud graduate of Ball State University with a BA in Journalism. For the better part of a decade this Midwestcoaster has called Northern California his home with his wife of six years. During the day you can find him writing grants and managing the environmental programs for a tribe of Native Americans. The rest of the time he’s dangling modifiers and digging through the racks to bring you the latest in streetwear, music and pop culture news for Brotherhoodmag.com. You can find him on Instagram, Twitter, Vine and Snapchat at @neilyoungsvoice. You can find Brotherhood Magazine on Twitter and SoundCloud at @brotherhoodmag, and on Instagram at @brotherhoodmagazine. Here is the episode of Real Talk Live with Zack that was mentioned. 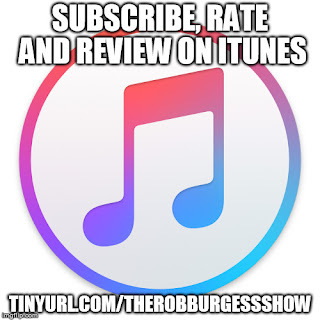 A quick programming note: Unlike the first two, the entirety of this particular episode is about a single topic; and that subject is Kanye West. The first 90 minutes are about his career from pre-"The College Dropout" until now. The remaining hour is about his new album, "The Life of Pablo," and beyond. Kanye is a rap artist, and, as such, this episode contains explicit language. If all that doesn't sound like anything you might be interested in, you have my permission to skip this episode. If, however, that does sound at all appealing, you are in for a treat. When "The Life of Pablo" was released last month, Zack was the first person I wanted to talk to, and after you hear this episode, I think you'll understand why.